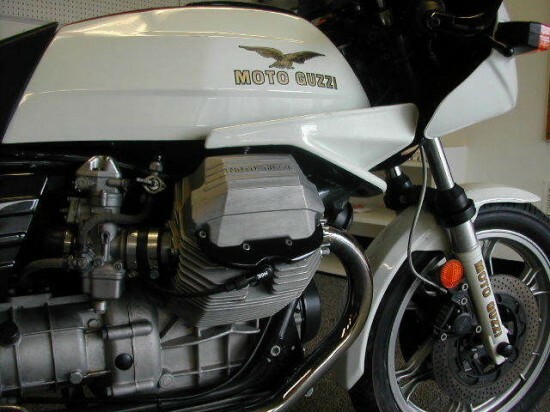 It used to be that I wasn’t a fan of the Mark III LeMans, but it’s really grown on me: all origami angles and flat planes, and that white Veglia tach probably doesn’t hurt… And while red is obviously a classic choice for a classic Moto Guzzi, it looks very striking in white. Classic 60’s and 70’s bikes have been popular for a while now, and it looks these 80’s machines will soon follow suit: Guzzi’s, BMW’s, and Ducati Pantahs all have the same sleek yet slab-sided styling and graphics that seemed designed to enhance the lines, instead of disguising them like they seem to do today. 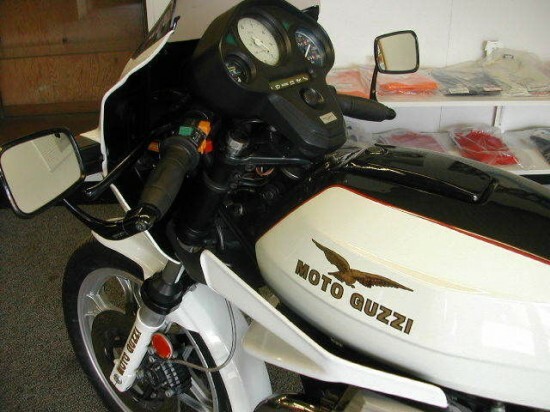 The LeMans III was an evolution of Moto Guzzi’s sporting flagship. 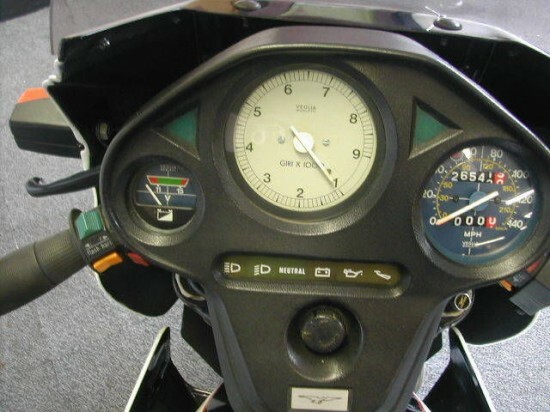 Made between 1981 and 1984 it was not a complete redesign of the LeMans, but was more than just a cosmetic make-over like the second-generation machine was. 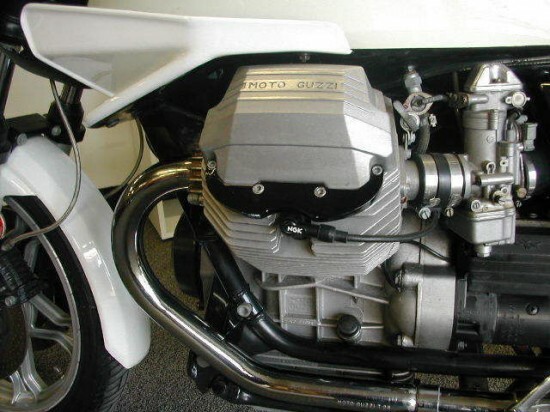 It featured a heavily updated engine with square, as opposed to the earlier round, cylinder heads and revised engine internals, along with aerodynamics shaped by Guzzi’s very own wind tunnel. 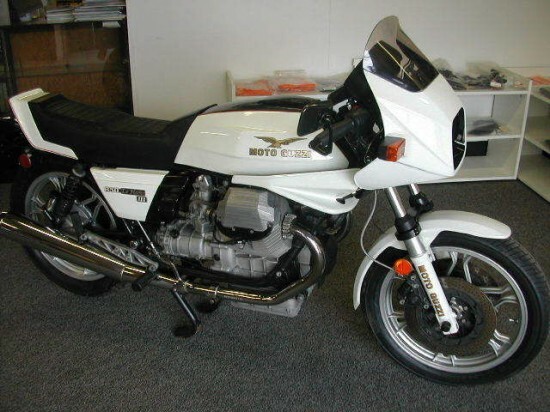 This is a near original LeMans III with 26,542 miles and in very good condition. Fairing and some body panels were re-painted at some point and the white is slightly lighter than the original paint color. Price for all classic Guzzis and LeMans models in particular are on the rise. This one is being advertised for just under $6,500 with less than a day to go. 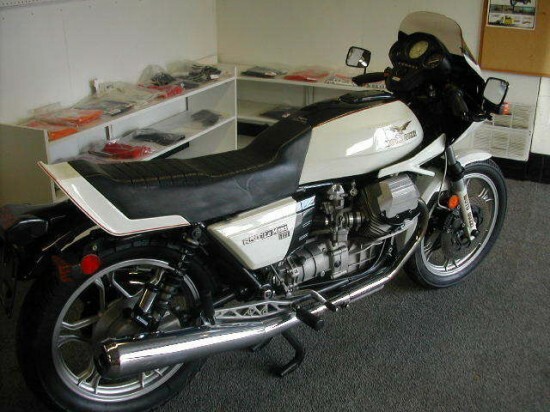 It’s been repainted per the listing, but looks to be in very nice condition and 26,000 miles is just broken in for a Guzzi. It may not have the classic café looks of the original LeMans, but the Mark III has a character all its own and take you down the road in style for many years to come. I seem to be in the minority, BUT I always thought the LeMans III was better looking than the original LeMans. Much to my benefit I picked up a great LeMans III for about 1/2 the cost of a comparable LeMans I.
They’re definitely growing on me, and the price is still right! I saw a Mk III at the New York Vintage Motorcycle Show in Brooklyn last August. 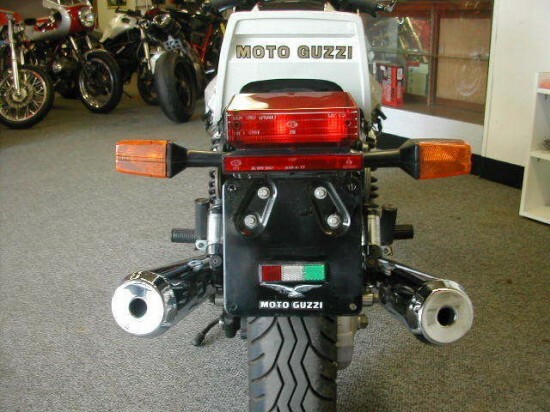 It had a pair of Lafranconi’s on it and was easily the best-sounding bike at the show.